Enhance your experience and make the event even more special! 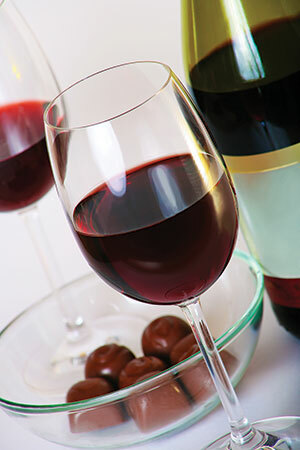 Add a glass of wine and a box of Thomas Sweet® chocolates! Add the show(s) you wish to attend to the online shopping cart. Chocolate & Wine can be added to one or more shows in your order. In the shopping cart, if the show has a Chocolate & Wine option you will see it listed under the show in the ENHANCE YOUR EXPERIENCE section. Select the quantity of Chocolate & Wine you wish to purchase (up to the maximum number of show tickets selected). A special certificate with instructions on how to pick-up your chocolate and wine at the event will be sent along with your tickets. Pricing subject to change. Subject to availability at the time of purchase.